In the seventeenth century Scotland was gripped by a fear of witches. 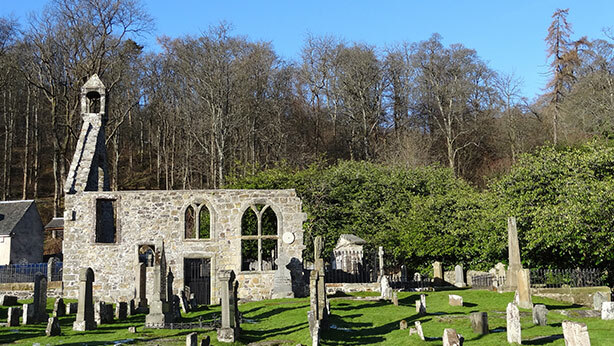 The ruins of the nearby Logie Kirk (Church) date back to 1178 and today are an eerie place filled with mystery. 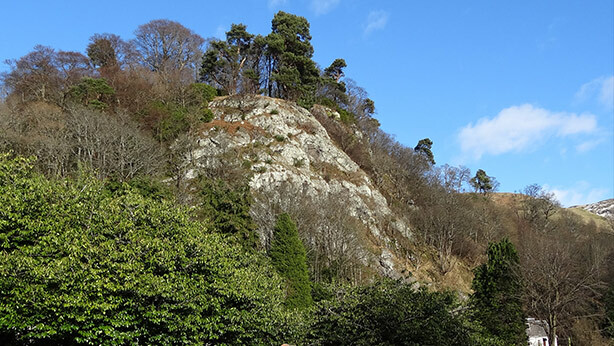 It is said that a coven of witches was based in the hills behind the kirk, the most prominent of which is Carly Crag, or the Witches Craig. An eighteenth century minister at Logie is said to have spotted the Devil dancing there with his witches; the Devil was given away by the cloven hooves he was unable to hide. The presence of witches all along the Ochils is remembered today with place names such as Warlock Glen and Devil’s Loch. The most likely place to spot witches today is in the caravan and camping park reception where you can buy toy witches as a souvenir of your stay!